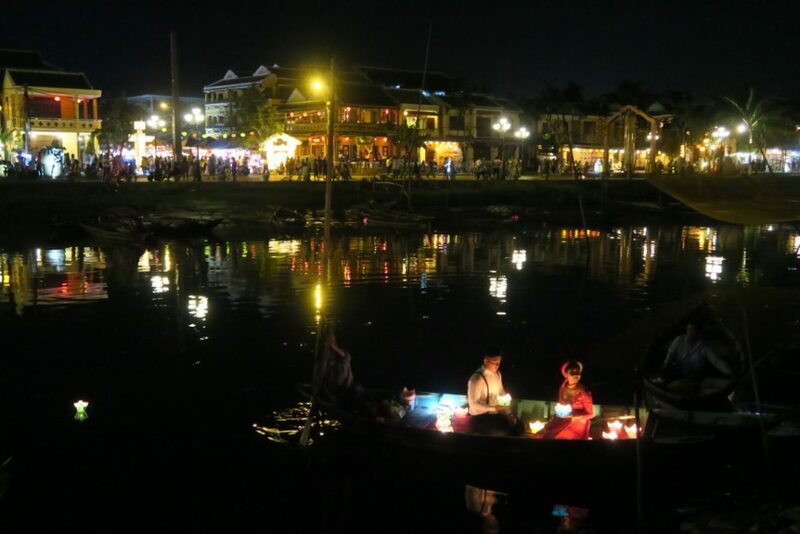 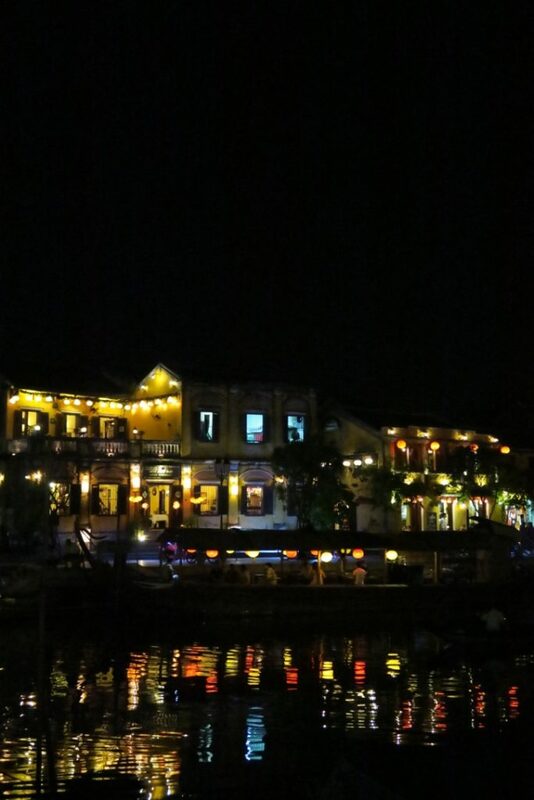 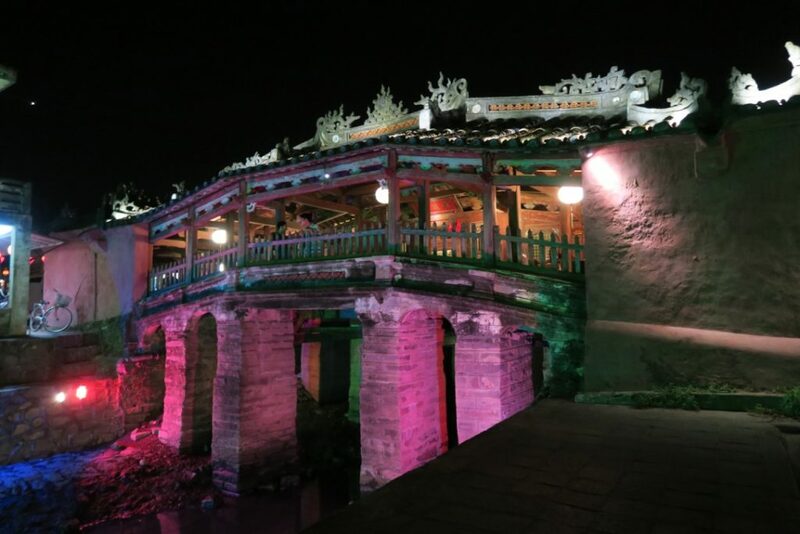 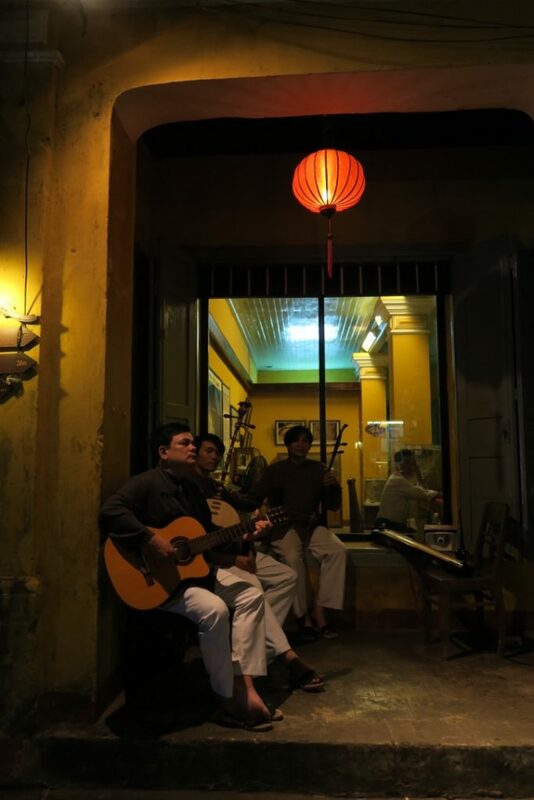 Hoi An at night in incredibly pretty! 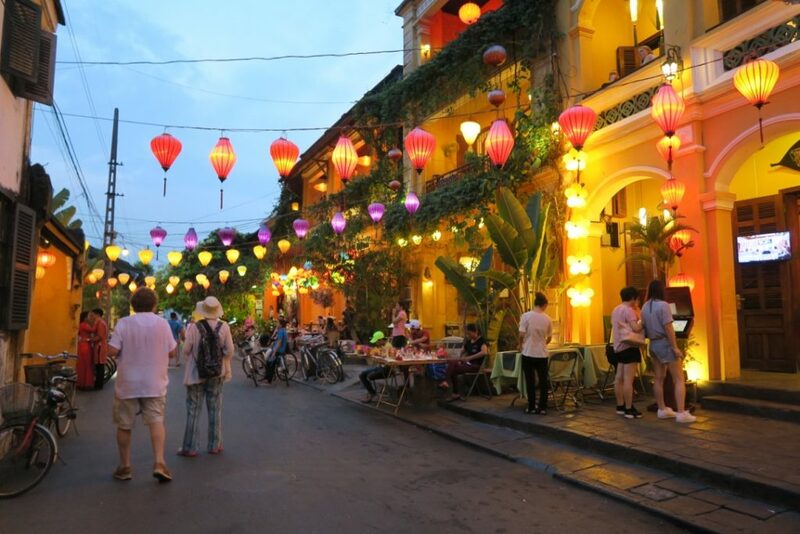 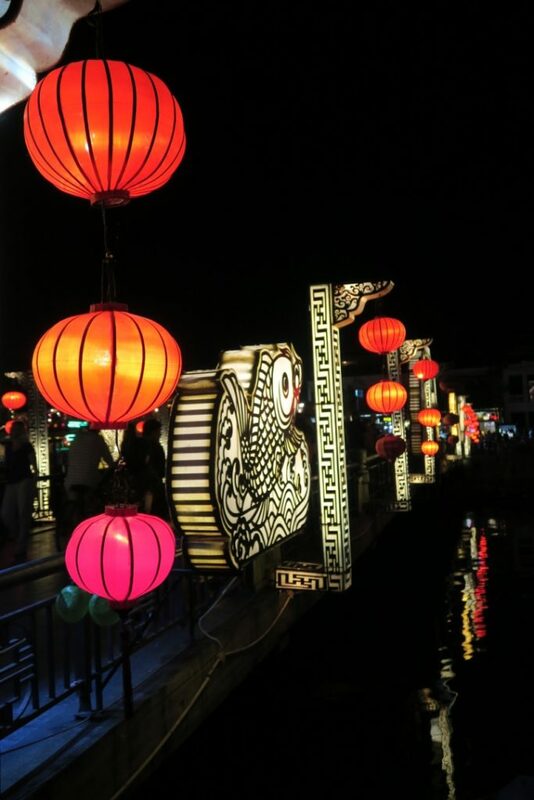 All the colorful lanterns, the candles, the street lights… the ancient town is glowing! 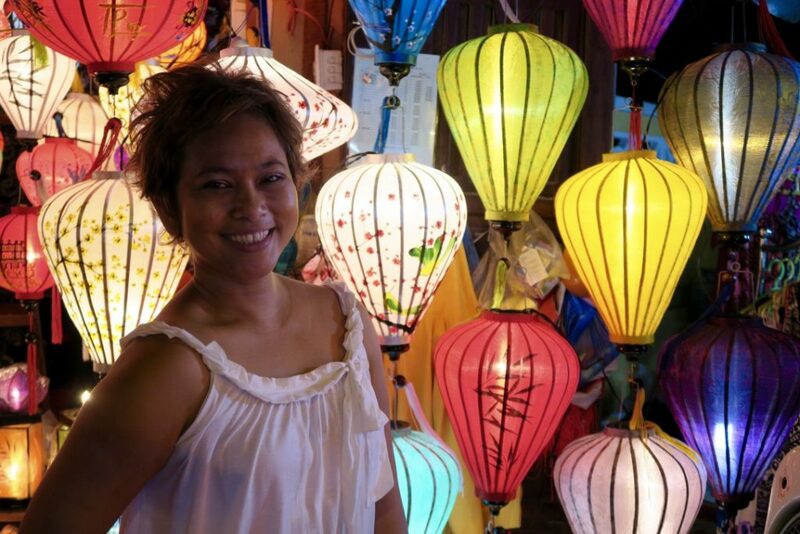 And all these beautiful lanterns are for sale — in a good price, too! 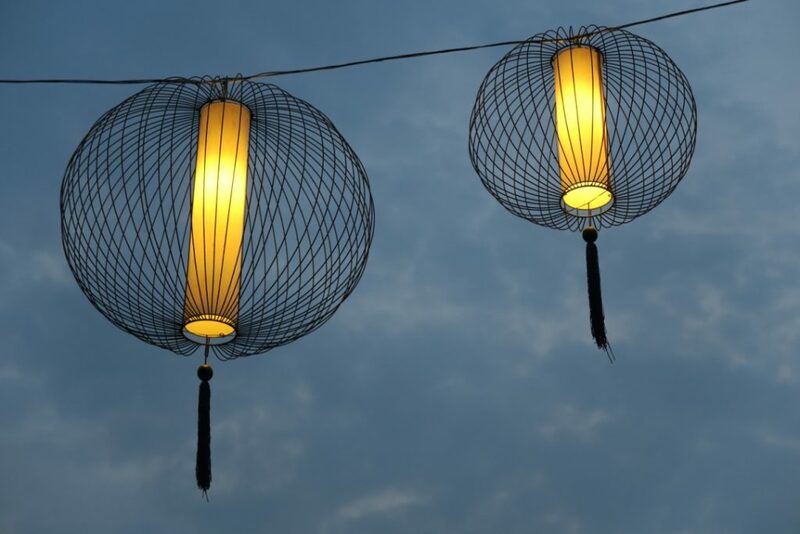 If you can bargain, one lantern is only $2! 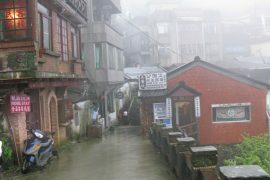 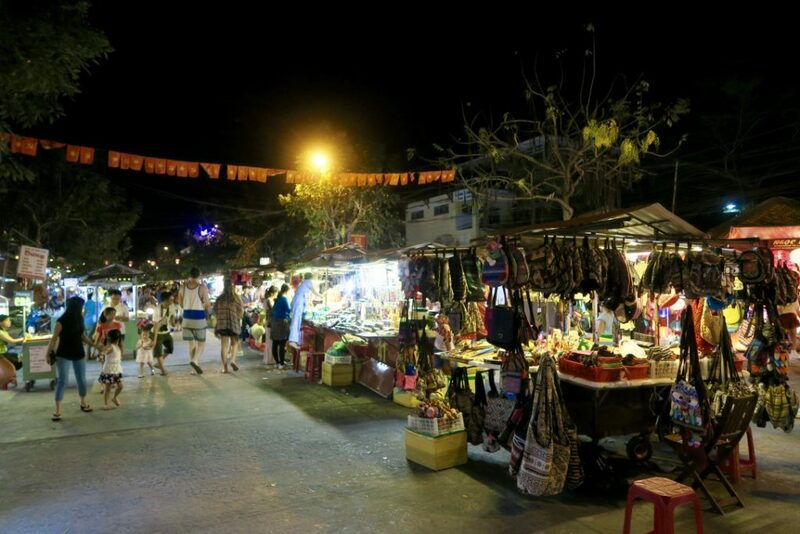 The market has everything you need for souvenirs. 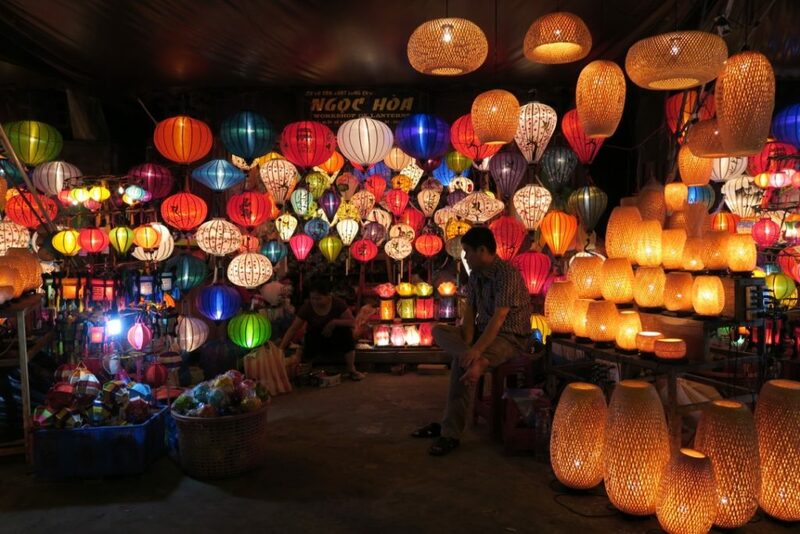 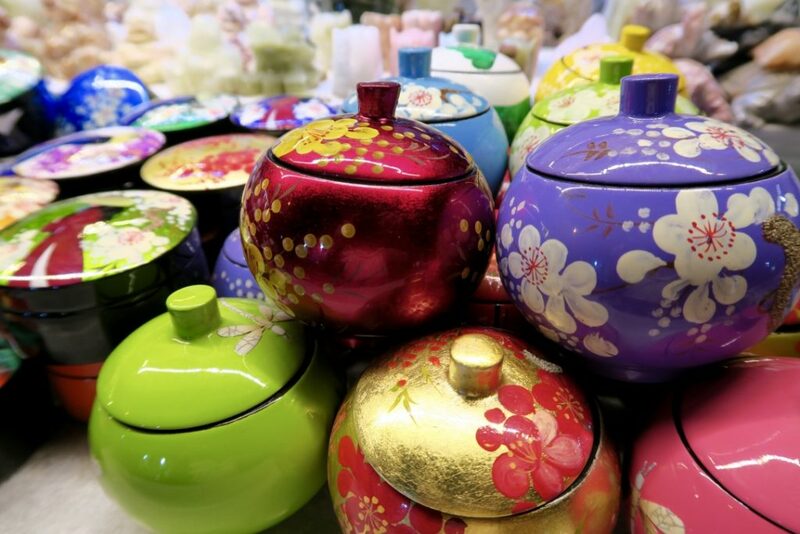 From small Buddha statues, lanterns, to embroidery wallets – Vietnamese style. 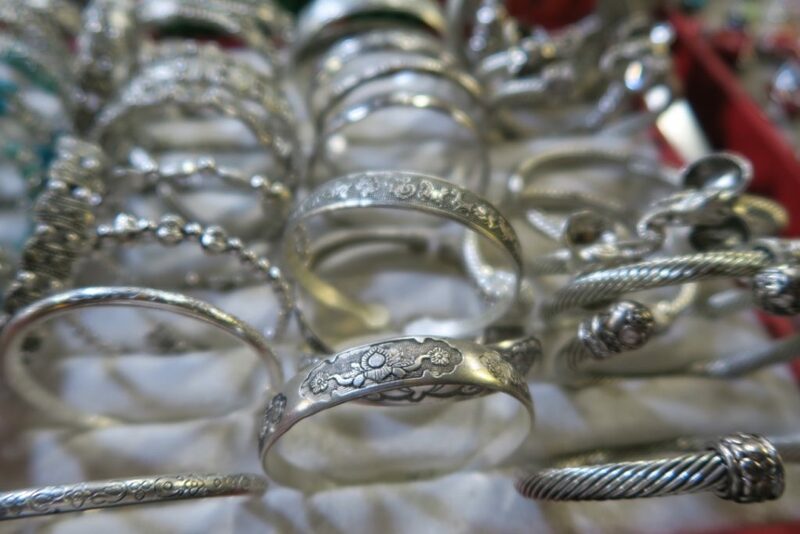 Don’t forget to bargain!